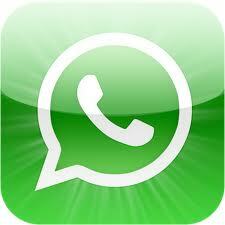 Home Cutting costs Other Hey..WhatsApp! Free text messages. Sometimes great applications just seem to slip past everyone without too many people knowing about it. Well this application is one such application, but before it slips past us all, I thought it would be a great idea to share this discovery with those that have not stumbled across it already. As a family we use WhatsApp all the time, having different phone makes, calls for a communication system we can all use and which is extremely cheap. The messages are not really free, as you still need to pay for the minute data that is needed to communicate, but it is a fraction of the SMS cost. WhatsApp Messenger is a smartphone messaging application which allows you to exchange messages with your friends and contacts without having to pay for any SMSs. WhatsApp Messenger is cross-platform and available for iPhone, BlackBerry, Android and Nokia (beta) and yes, those phones can all message each other! To send and receive messages, WhatsApp utilises your existing smartphone internet data plan on 3G/EDGE or Wi-Fi when available. WhatsApp only works among users who have the application, so after you download WhatsApp, make sure to use the “Tell a Friend” feature to share this application with the friends and contacts in your address book. I love this app!!! Hands down best text app ever! Apple should’ve thought of this before. This app must be on every iPhone home screen. This app is trully the best app ever made and it is getting better. Now the iPhone is complete! No video channel videos for this topic, sorry.